Home The Future Workforce – Leaders are you Listening? 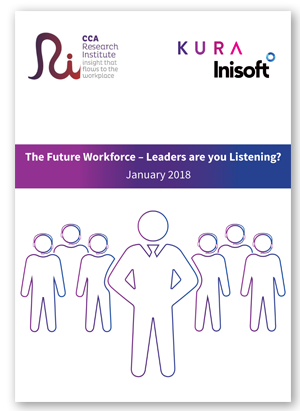 The Future Workforce – Leaders are you Listening? Kura teamed up with CCA Global to understand the motivations, challenges and perceived future of the contact centre industry from the advisors perspective. The CCA surveyed over 580 front-end advisors to get an accurate view of the contact centre across all sectors. •	Advisors have a desire to do a good job – 63% stated the best thing about their role was helping customers. •	Worryingly, 34% of advisors didn’t feel valued as an employee. •	41% of Senior Management or members of the Board spent little or no time on the contact centre floor. Fill in the form below and download your complimentary copy of this report now.